This is one of the key services that we offer. The first thing that we want to point out though is that our approach towards tree trimming is not “simple” as some people may think. We have seen time and time again how certain companies will just come in and start cutting up the tree without any real purpose. We provide a sense of style to this service. We trim to get somewhere not to just leave the tree completely bald. We can really sit here and talk about it all we want though and it really would not make a difference. If you want to see examples of our work don’t hesitate to call! We are going to be the ones cutting your trees, but at the end of the day, they are your trees. That is something that we really take to heart. You are going to be the one that has to live with those trees so we really think it is important that we are on the same page in deciding what they are going to look like moving forward. Before we even start trimming we love to hear what you are looking to get out of our services. That way we can make sure to deliver the right trim that you are looking for! If you are from around here or you’ve lived here for quite a while you know what they say about Texas weather. If you don’t like it come back in an hour. All jokes aside the fact that your trees are going to have to deal with very extreme temperatures like a very hot and dry summer or a harsh winter that can get below freezing at times. Getting them trimmed accordingly can really help your trees cope with the climate. A lot of times people will actually give us a call because they are tired of doing this job on their own. Still, for the most part, you will be sitting at home as we work. 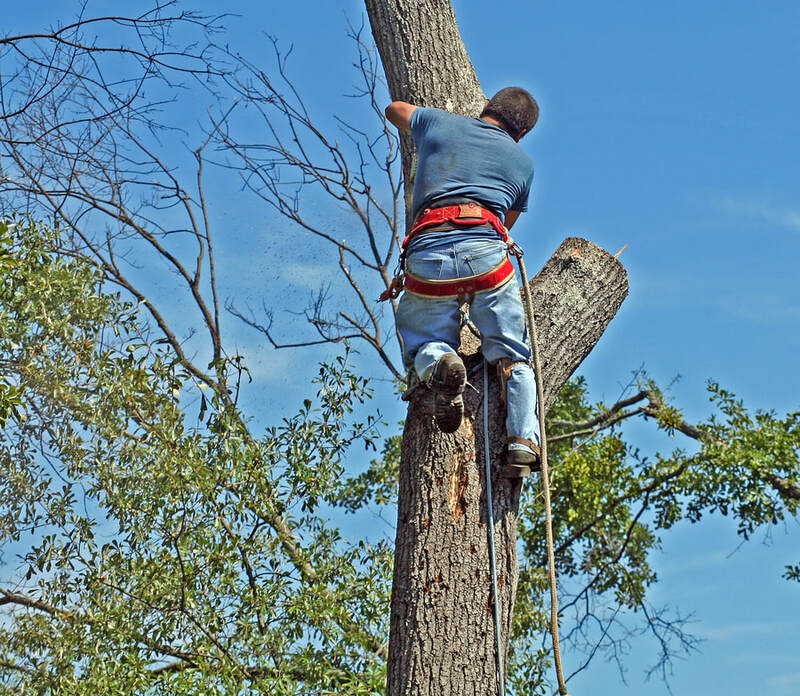 We want to make sure that our tree trimming services get done a quick and efficient manner so that we don’t take too much time off your hands! When we arrive at the property and take a look at the number of trees that we are going to have to be dealing with we can give you an approximate time frame so you can plan accordingly! If you have tall palm trees and things like that on your property we will surely appreciate the heads up. That way we can make sure to bring all of the necessary equipment to be able to handle such a job. Do you think that your tree is just too tall and we won’t be able to handle it? Well, all that we can say is that we are up to the challenge. Give us a call and if we can’t handle it we won’t charge the service!